Handmade fancy wood beads, supper quality large hole beads, size: 12x15mm, weight of a bead is approx 1.88 grams, pack of 100 pieces. You may also buy this design in customized shape, size and color. 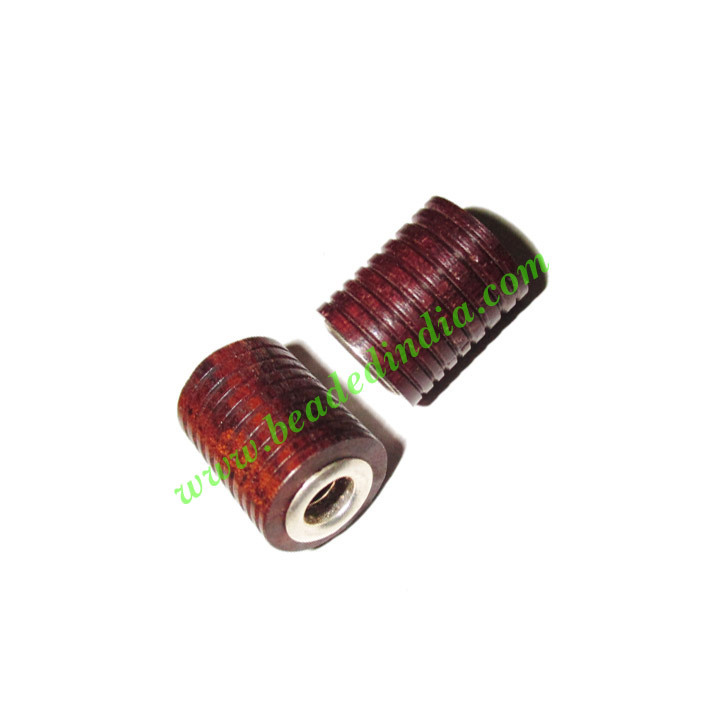 Copper Metal Tubes Pipes, size : 10.5x4.5mm, weight: 0.87 grams. Leather Cords 1.5mm flat, regular color - deep pink.